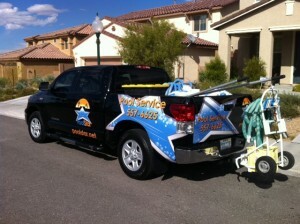 Las vegas swimming pool cleaning service. We service Henderson and Las Vegas to include these communities Green Valley, Silverado Ranch, Southern Highlands, Anthem, Seven Hills, Summerlin, Spring Valley and others. As well as swimming pool cleaning we also provide filter tank cleaning, acid wash, green to clean, chlorine wash, pool drain and refill, clear blocked pipes and more. PoolStar technicians are certified pool/spa operators having passed exams and training provided by the national swimming pool foundation. When looking for a pool service there are many things to consider, this will help you make the right choice to find a las vegas pool service. Please contact PoolStar if you have questions we shall be happy to help and check out our reviews and testimonials. This entry was tagged las vegas pool cleaning service, las vegas swimming pool cleaning service. Bookmark the permalink.